I don’t know about you, but when I get the chance to go on holiday one of the first things I do is find out where I can go fishing. I love taking the opportunity to get out on a charter boat and target some of the exotic sporting species that swim the oceans. A constant problem I have had is finding a charter boat in the area I am going to. Often you have to wait till you get to your hotel, and there you normally have limited choice on what boats you can book at short notice. Wouldn’t it be great if there was a website that gave you a list of charter boats in the area you are visiting, one that also allowed previous customers the ability to leave feedback on their experience. Well the good news is that just such a site exists. I had seen a number of adverts for fishfishme, on a few of the fishing website that I read. I decided to get in touch with the guys that run it and find out a bit more. The company is run by Abdullah Alshalabi and co-founder Jose Gil Zafra pictured above. 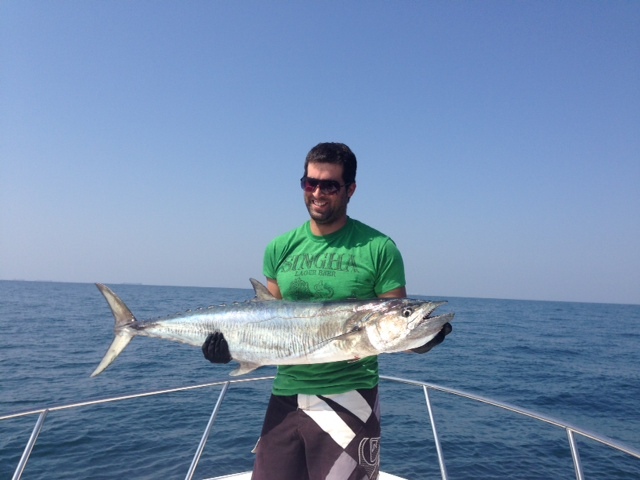 Both guys are mad keen anglers, and have landed numerous fantastic hard fighting fish in their time. I am delighted to say that Abdullah was kind enough to take time out of his busy day to grant me an interview. 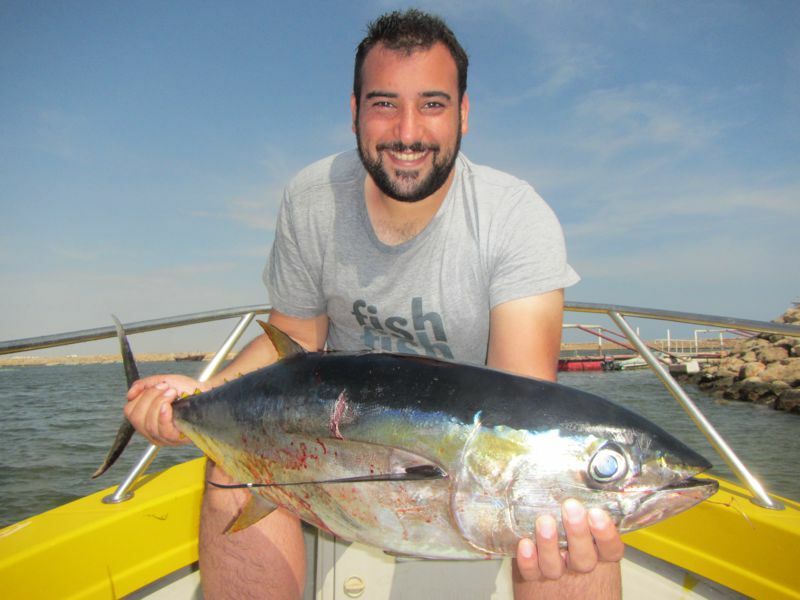 Fishfishme is an online platform to help people find and book fishing charter boats around the world. 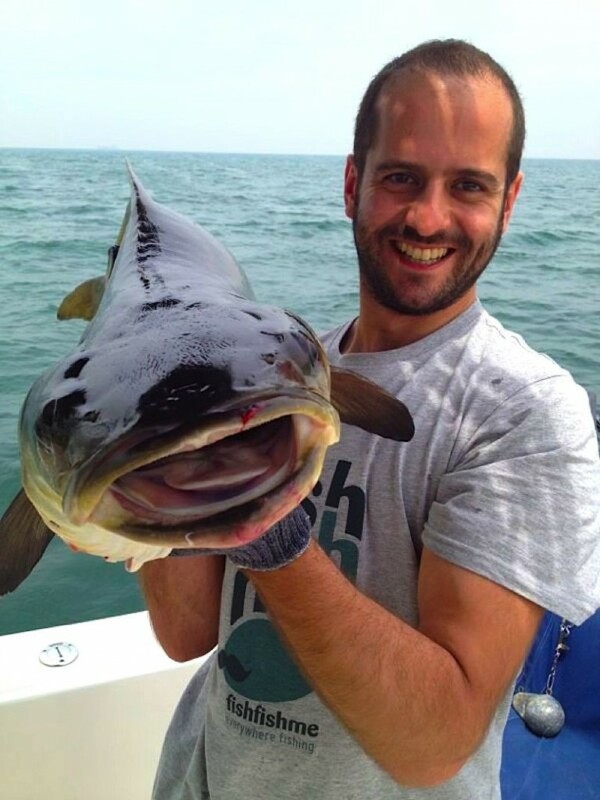 Basically, we make it super easy for people to book a fishing trip. Currently our charter partners are spread over more than 30 destinations around the world, including Spain, UAE, USA and South Africa to name a few. Q. How did you come up with such an idea? Q. So tell us more about the destinations your website covers? Currently our charter boat partners are mostly concentrated in UAE, Spain and Oman. However, we already have solid presence in markets such as Italy, Thailand, South Africa and Florida, USA. At present we operate from two regional offices; one in Dubai, UAE and the other in Malaga, Spain. Soon we are going to have physical presence in other bigger markets to keep up with the demands arising from these countries. Q. What is unique about your services? Technology is changing everything around us, often for the better. However, fishermen and captains seem to struggle to keep pace with these developments. Many of these charter operators have no presence in the web and even now depend on old ways to present their services. In addition, booking a fishing trip online was very hard. With fishfishme you’ll find all the information you need to make your call and you can book your trip online in 3 simple steps. Choose the date and no. of passengers and click book now. Done! You’ll receive a confirmation email shortly after that.